Link up three fire spitting emcees from Kansas City (one who happens one of the NFL’s top linebackers) and throw Krizz Kaliko on the hook. 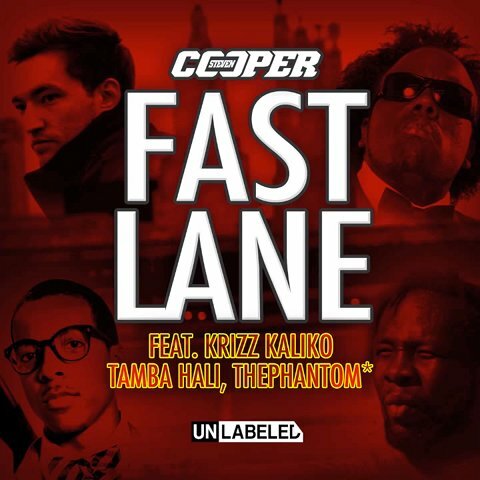 What you get is the hard-hitting single “Fast Lane” from Steven Cooper featuring Krizz Kaliko, thePhantom* and Kansas City Chiefs star Tamba Hali. Brace yourself. The chop-heavy track features Krizz Kaliko with a motivational chorus and Steven Cooper, thePhantom* and Tamba Hali with sick verses that perfectly match the song’s hyperkinetic production. The end result is one of those tracks that makes you want to run/drive/do whatever just a little bit faster.